If there’s a chocoholic in your life with a knack for DIY projects, these sweet experiences guarantee to make them smile. Forget the box of ready-made treats—enroll them in one of our chocolate making classes and tasting workshops! They’ll learn all about the fine art of chocolate making—which cocoas to select, flavouring tips, artful moulding techniques and detailing pointers to transform their edible creations into fine works of at! One of our more popular chocolate making classes takes place in Leichhardt, the heart of Sydney’s bustling Italian community. In this neighbourhood, gourmet goodies are in no short supply so it’s no surprise that this chocolate class takes the toothsome artistry to a whole new level. Students will sample rose-infused hot chocolate (a 17th-century recipe! ), crack a bottle of wine (it’s BYO!) and then get their fingers dirty as they spend two hours melting, moulding and infusing chocolate canapes. 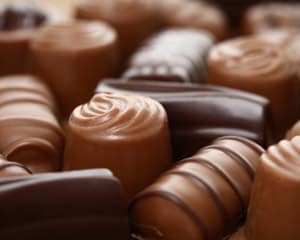 The same chocolate school also offers a more advanced chocolate making class that gives an in-depth overview of ganache making, hand dipping, decorating and techniques specific to dark, milk or white chocolate. In Melbourne, chocolate making classes are equally comprehensive and just as mouthwatering! A seasoned chocolatier will break down every step of the chocolate making process, starting with the cocoa beans! These gourmet chocolate courses are kept to no more than six to eight people, so every participant gets special attention and all their questions answered. They’ll learn a whole lot and bring back a slew of recipes! Melbourne also hosts a chocolate tasting tour that takes a small group of sweet-toothed explorers to the city’s most decadent chocolatiers. Sample everything from reimagined childhood favourites to surprising and exotic flavours! Give your girl some chocolate and she’ll snack for the day; teach a girl how to make chocolates and…well… whatever you do, don’t lose that girl! 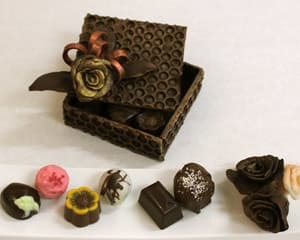 When her birthday or any heart-shaped box occasion rolls around, these chocolate making courses are the perfect gift for her. Group lessons are also an option, which makes these experiences a fantastic family bonding experience or even a fun way to kickstart a hen’s party. Or, after reading all these delectable descriptions, maybe you’re getting hungry and want to book a chocolate making course for yourself!